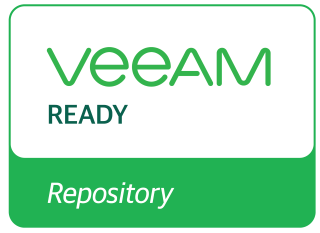 Company name: QSAN Technology, Inc.
*This Veeam Ready test was performed with an SSD/Flash configuration. As such, this classification only applies to configurations in which the same amount or more SSD drives are used. The use of non-SSD drives may negatively impact performance. QSAN Storage Manager 3 (QSM 3) is a NAS operation system specially designed for QSAN XCubeNAS series. The core of QSM is Linux kernel and in-house fine-tuning 128-bit ZFS. The ZFS has high scalability and can be managed easily, also with the ability to maintain the data integrity. QSM 3 not only inherits the amazing native features of ZFS, its powerful storage features ensure persistent, reliable storage management, protection against data corruption, seamless capacity expansion, several data integrity mechanisms, pool and disk encryption protection, unlimited snapshots, and unlimited clones.